These days getting my four-year-old to complete a task as simple as flushing the toilet and washing her hands is a task in itself. Sometimes a little encouragement goes a long way, especially if it’s coming from their favourite superhero. Get excited Babyologists, your nagging days might be nearing their end. Sonni Lou has designed some incredibly ingenious prints that will have your kids begging to do the chores and tasks that you would normally have to repeatedly ask them to do. The super cute range of “Even Superheroes” prints have recently been launched over at Sonni Lou. The range of 12 motivational prints are sure to encourage any child to want to be just like their favourite superhero, which means those simple chores and tasks will be completed without having to remind them multiple times. Each print is A4 in size, printed on archival matte art board, comes packaged in cellophane and posted in a heavy weight envelope. 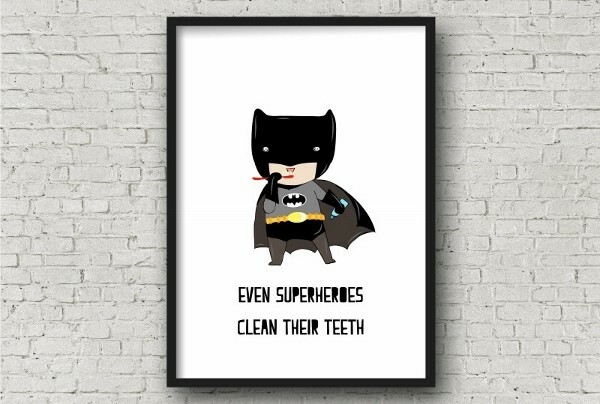 If you have a Batman obsessed child who isn’t a big fan of teeth brushing then Sonni Lou has the perfect print for your home. The “Even superheros clean their teeth” print will have your little one excited to brush twice a day, because who wouldn’t want to be just like their number one caped crusader? There can never be too much positive encouragement when it comes to getting your kids to eat their veggies. Thanks to Captain America your kids will now realise that superheroes eat them too. 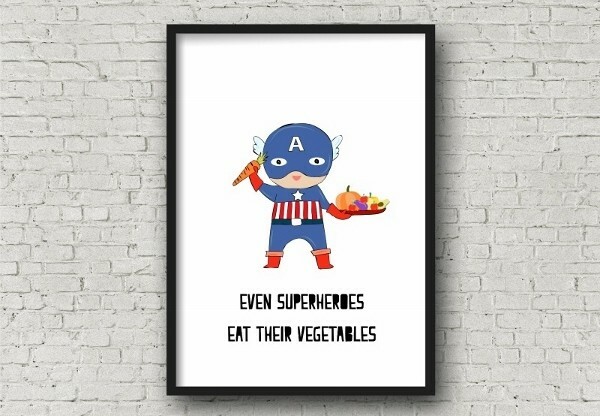 The “Even superheroes eat their vegetables” print should be in every dining room for the perfect reminder at the dinner table. If your little superhero is more of a princess, then get excited because Sonni Lou will release an “Even Princesses” range in March 2016 (yay). Priced at $10 each plus $8.95 for shipping Australia wide, these designs are available through the Sonni Lou website where you can check out the rest of this very clever collection.